If I could relive my childhood in this generation, a smartphone wouldn’t top my tantrum-threatening list of demands. That might come as a surprise, considering how armies of toddlers have their eyes glued to their media devices daily. Really, what little-girl-me would love is a pair Heelys, cute skirts and dresses instead of obiang floral tights my childhood photo albums suggest I basically lived in, and bringing a lunch bento to school every day, the kind worthy of spreads in Japanese parenting magazines. While there’s no changing the past, I still get a hint of satisfaction when I check items off my childhood wishlist – like eating a braised duck bento set at Jin Ji Braised Duck. 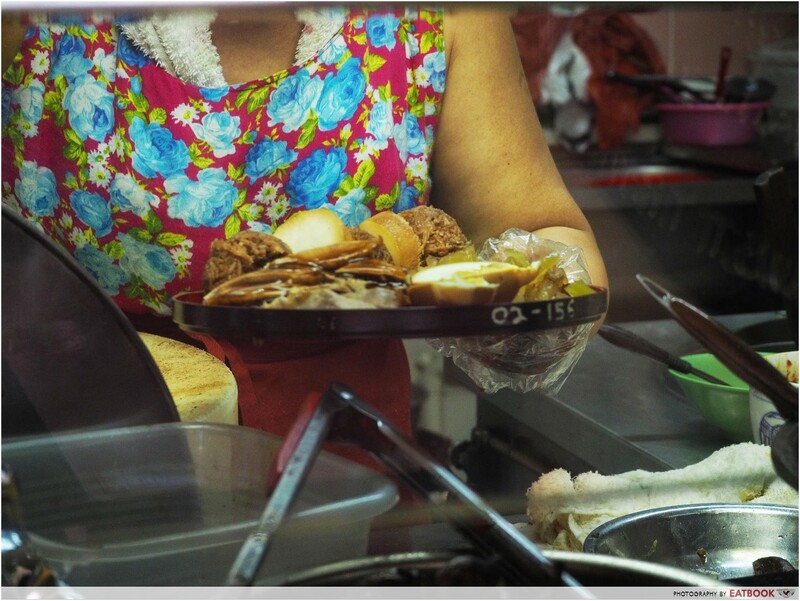 For so long, hawker food has served Singaporeans well, filling us up with cheap, fast, and good food. 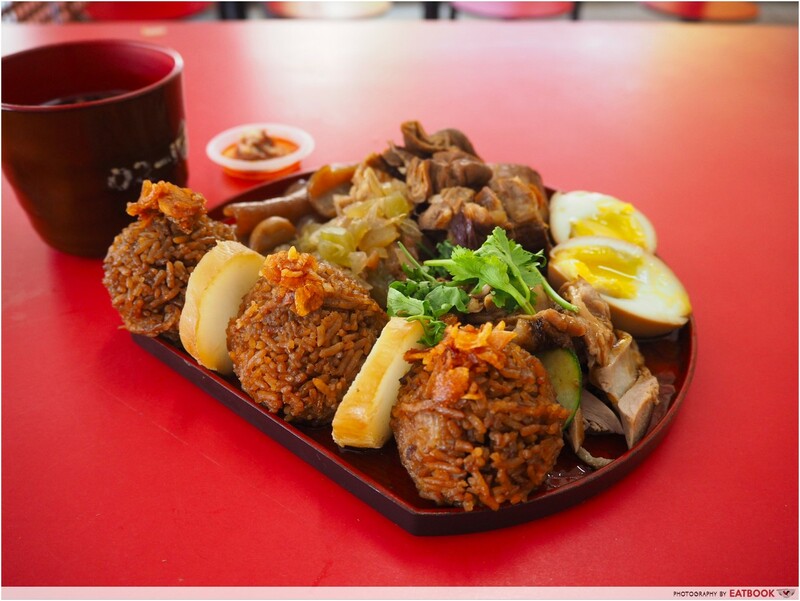 Most times, beyond these three criteria, a friendly smile from a stall owner is already noteworthy, making Jin Ji’s artfully arranged platter extraordinary in the context of hawker food. 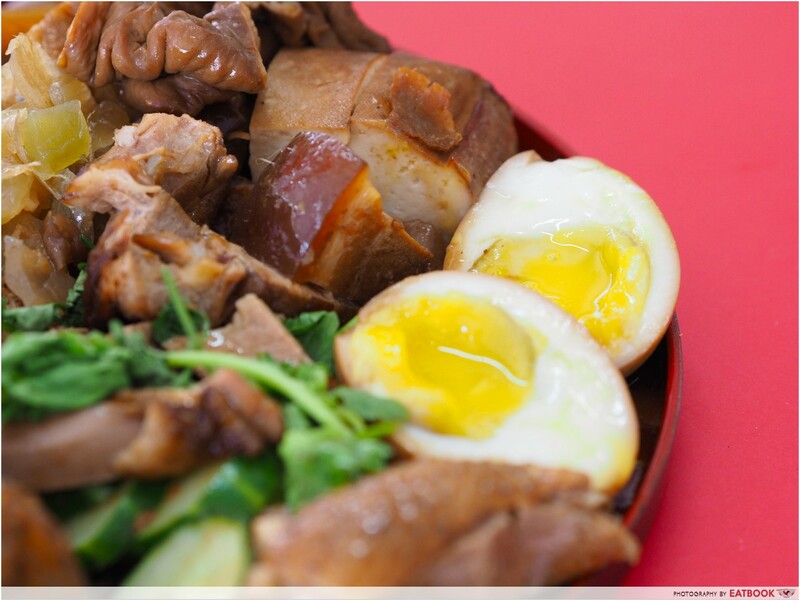 This is the work of Melvin Chew, second-generation owner of Jin Ji Braised Duck. He runs the stall with his mother and younger sister. 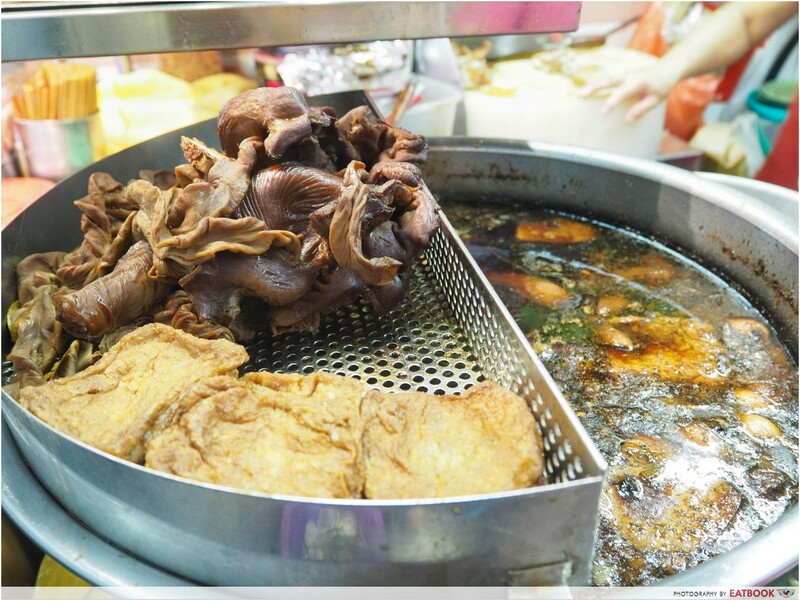 Jin Ji has occupied its unit in Chinatown Complex Food Centre since 1983, when Melvin’s parents shifted to a permanent stall from their pushcart of cut fruits. Fast forward 30-odd years, and kway chap is regrettably inching into the category of what Melvin calls, “auntie uncle food”. A large group of the stall’s regulars are elderly folks, and he lamented over watching his parents’ sales fall over time as many of these regulars move away or pass on. With the rising cost of ingredients to worry about as well as strict rules on hiring extra help, he, like most hawkers, faces immense pressure on many fronts. It’s telling how Melvin’s parents vehemently opposed when he first broached the topic of taking over. 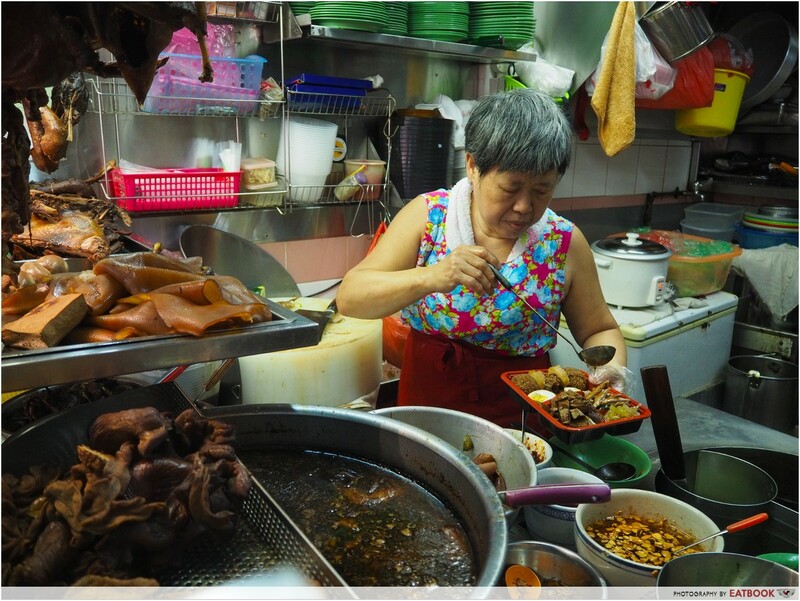 “Most hawkers don’t want their children to take over their stalls,” he said. Melvin has been helping out at the stall since he was young. “Actually, us kids were forced to”, he said with a laugh. He started out by washing the dishes, then later assisting with food preparation. He feels a duty to continue his parents’ legacy. Melvin saw how he could reach out to more potential customers, especially the younger generation, with attractive plating and effective social media engagement. 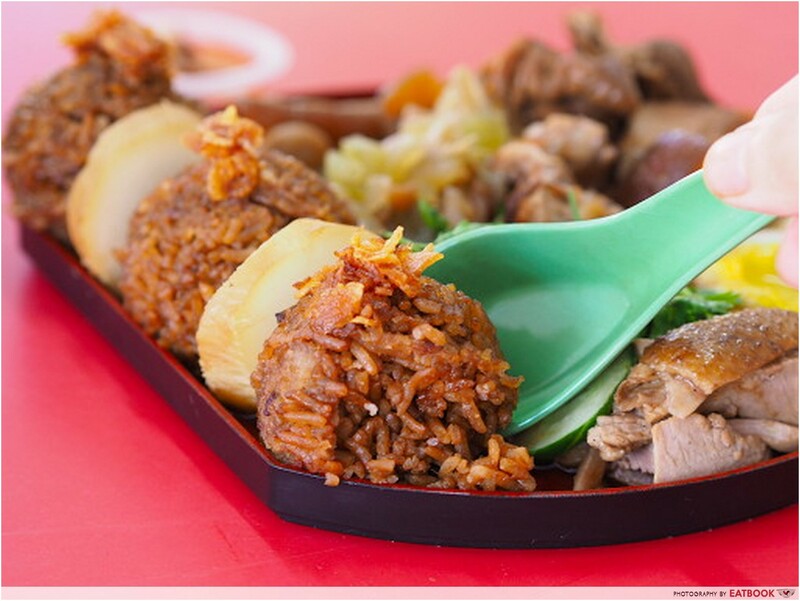 The idea for a bento came about when he was debating about bak chor mee and Japanese ramen with a food writer. 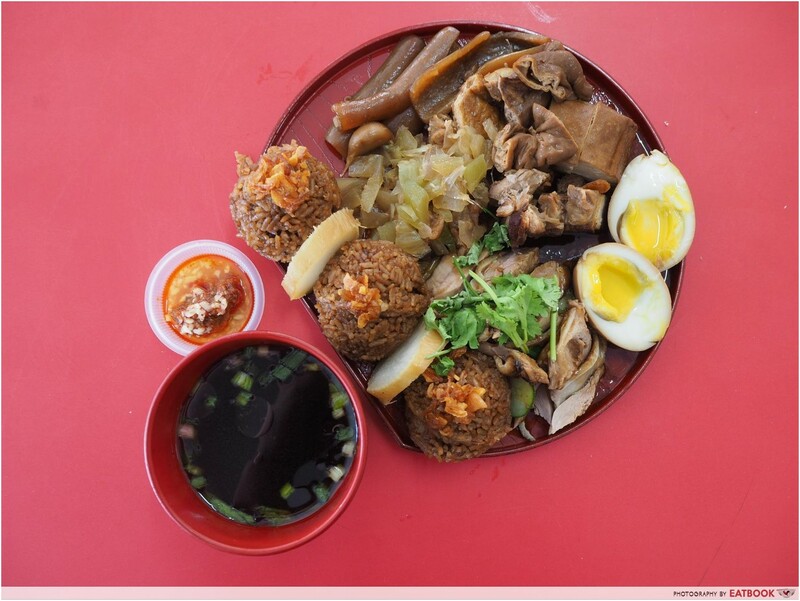 “Both [dishes] use somewhat similar ingredients, but people willingly pay $15 or more for a bowl of ramen, but will complain if bak chor mee is priced at $6.” The conversation stuck with him, and he thought of presenting the braised duck and kway chap combo in a Japanese-inspired bento style. “It was a hit,” Melvin said excitedly, and convinced his parents to support him as his initiatives saw good returns. 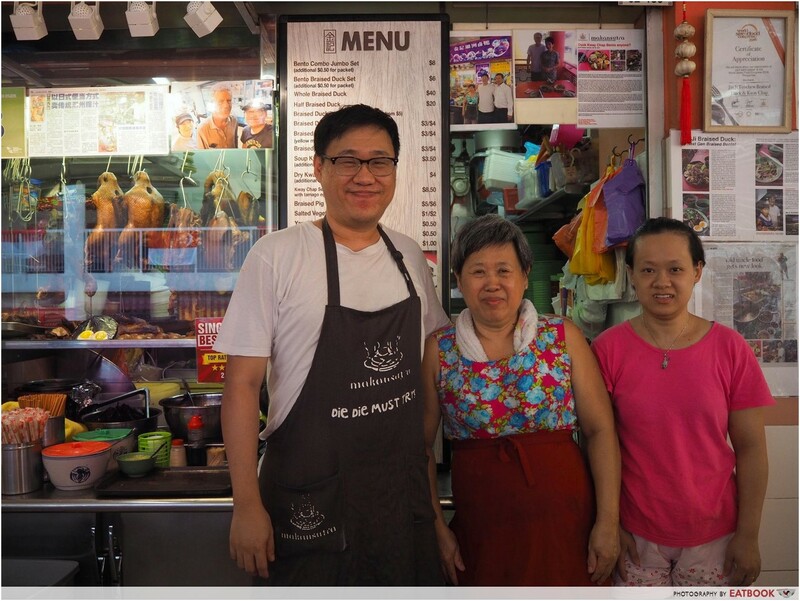 For all of its challenges, Melvin declared running a hawker stall worth it. “I like to cook lah, so being a hawker suits me” is how he justifies it. Still, his everyday life requires hard work and grit. The stall opens from 10:30am to 6:30pm on weekdays, and 9:30am to 6:30pm on weekends, but he’s up at around 4am to 5am on most days to head to the stall and braise the meat. That’s not counting the hours spent washing up as well as time needed to clean the ingredients, which can take up to seven hours depending on the type of organ. 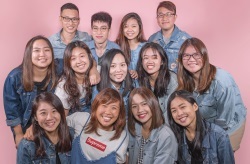 Melvin said one of the best parts is witnessing families grow bigger, with elderly regulars bringing their children to eat at Jin Ji, and eventually their grandchildren too. Another perk is complimentary coffee, courtesy of those who frequent his stall. 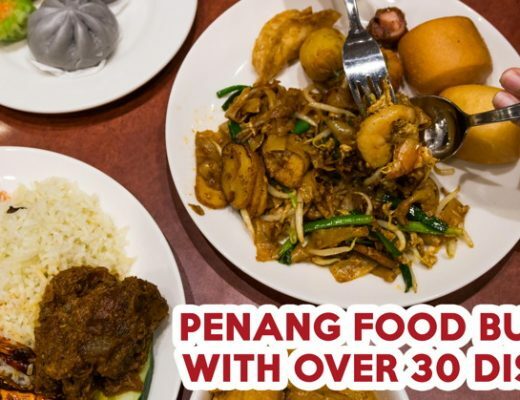 “Elderly folk who move away must definitely come back to Chinatown to visit their friends every week and they’ll buy packets of coffee and distribute to [hawkers], so weekends I usually get a free cup,” he said with a laugh. Melvin is a foodie at heart. 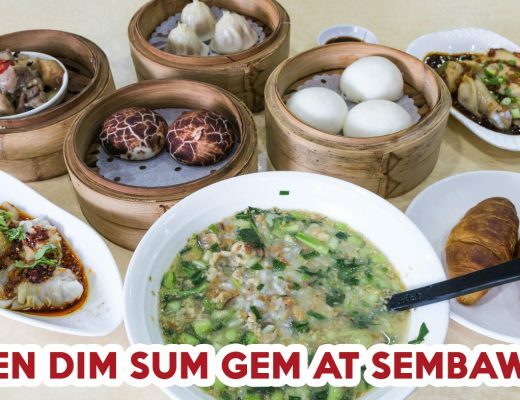 He boasts of his Teochew heritage and his love for Teochew mui (porridge), char kway teow, and – of course – Teochew braised duck, but his favourite hawker dish is bak chor mee. 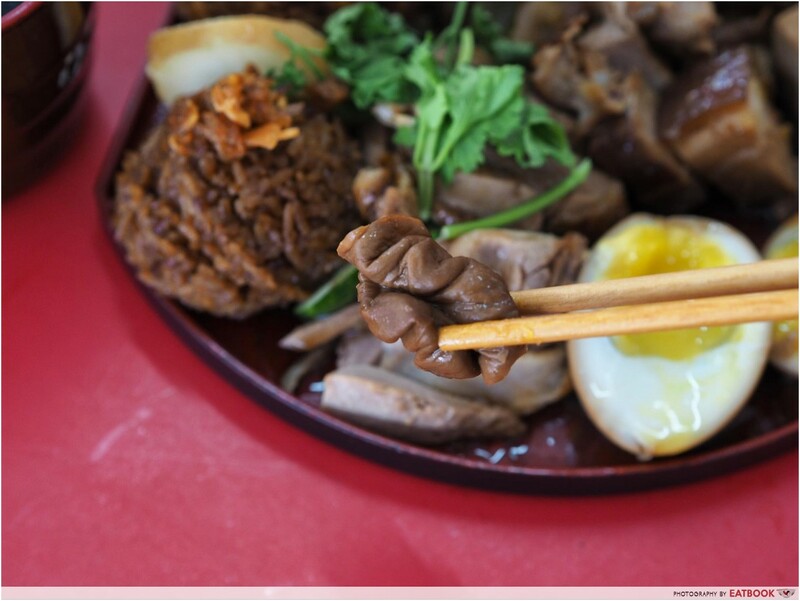 Two of his favourite places for a bowl of noodles are Seng Kee and Tai Hwa. Of course, we had to order the Bento Combo Jumbo Set ($8). 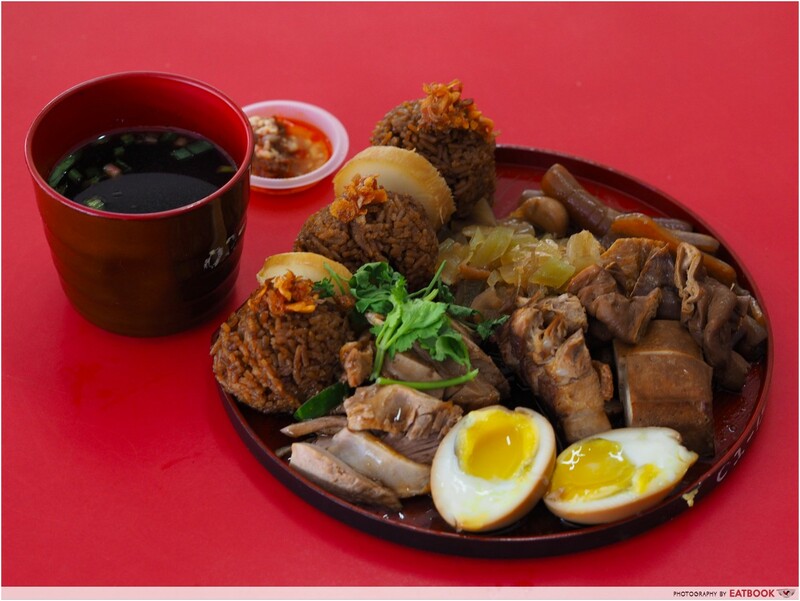 This includes yam rice packed into three balls that are separated by sweet daikon slices, braised duck, pieces of offal, pork belly, pickled vegetables, and a soft-boiled egg. 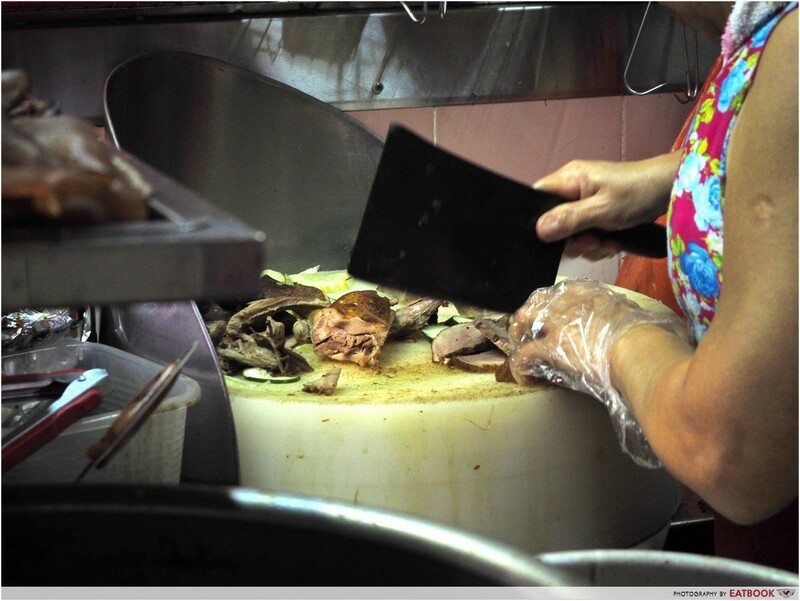 Melvin prepares braised duck the Teochew way, featuring a runny and salty lor (braising sauce). The duck was extremely flavourful and each bite released a tangy and herby aroma. While I enjoyed its flavour, the meat was a little tougher than I preferred. It went great with the yam rice, which – though not the most fragrant version out there – carried a subtle and addictive sweetness. There were bits of savoury dried shrimp as well. Be sure to get some of the crispy fried shallots that are sprinkled over each rice ball in every spoonful. I liked that the rice had distinct grains despite being packed together, and wasn’t mushy at all. 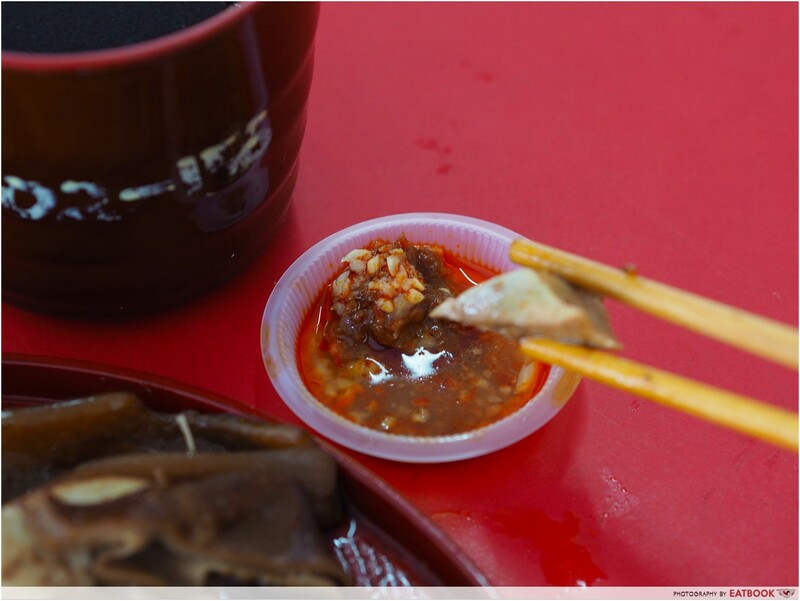 Jin Ji’s diligently long and carefully guarded process for cleaning their ingredients paid off, because the offals served didn’t have any stench. Another highlight of the bento was the ajitsuke tamago-inspired marinated soft-boiled egg. The yolk was almost as runny as the egg served at most ramen places, and had a custard-like consistency that made it more enjoyable than a regular lu dan (braised egg). The chilli paste was a game changer. Each serving portion has a scoop of sambal in what tasted like garlic slivers in vinegar. The sambal was rich with the taste of hae bee (dried shrimp) and packed a punch, but not to the extent of numbing my taste buds. Combined with the sharpness of vinegar, the chilli had the notes of chicken rice chilli – spicy, tart, and garlicky – but tasted even better because of the dried shrimp blended into the sambal. It might sound strange but I could eat this concoction on its own – it is that good. 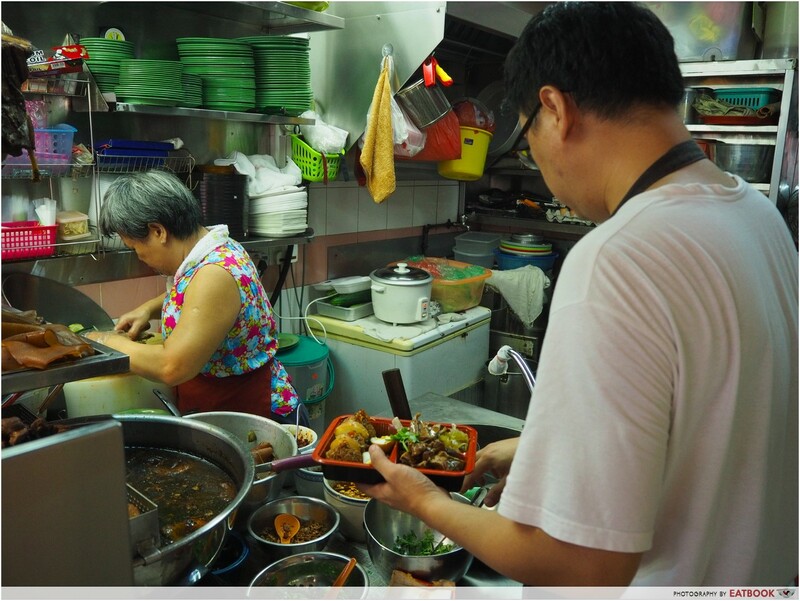 I love hawker food as much as the next Singaporean, and it is heart-warming to see the trade live on as younger chefs step in and take over the cooking. 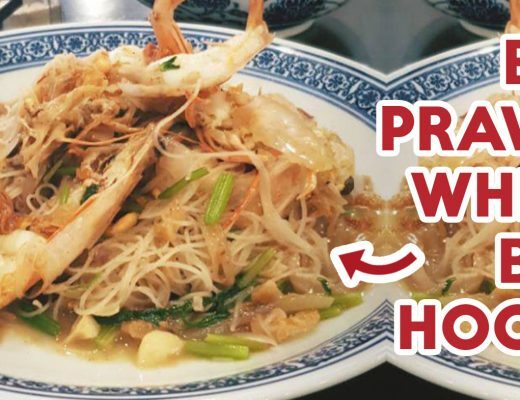 It’s a common perception that second-gen hawkers don’t live up to their parents’ skills, but Melvin defies that stereotype and has even tweaked the recipe to suit the times better, such as by making the braising sauce slightly sweeter. I’m all up for breathing new life into classics, and am excited to see where Melvin takes Jin Ji next. For another hawker story, check out our feature on Sun Kee Drinks, which sells drinks at $0.30 at Kovan. 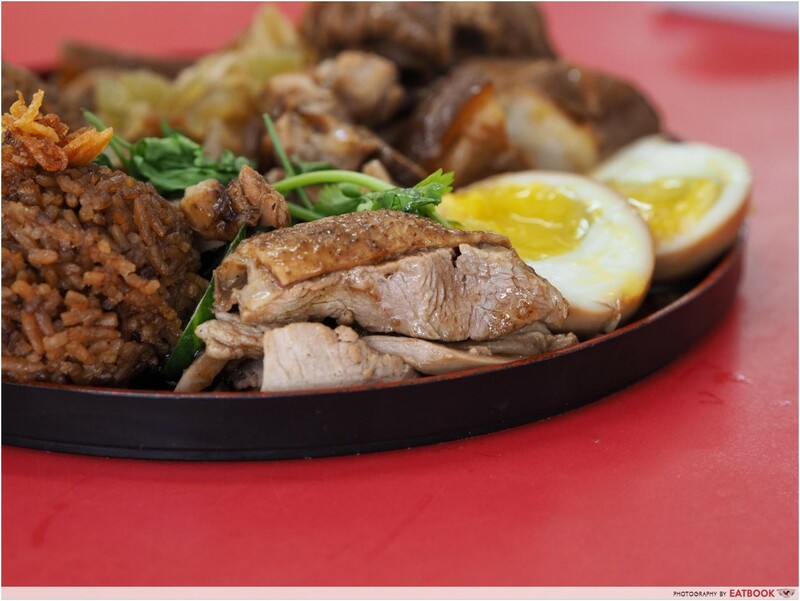 Jin Ji Braised Duck is not a halal eatery. Snacking on grapes and chocolate all the time.